Destinet OÜ, established in 2002, is a company, specialised in subcontracting works for automation and machine-building industry. 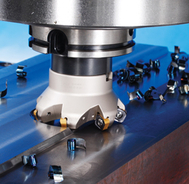 Production with high accuracy and sophisticated design is made on modern CNC controlled milling or turning machines. The assembling department, established in 2003, is specialised in subcontracting assembling of modular parts for automation industry. Our main priority is to keep company’s technical capability on the level of needs of fast developing automation industry.